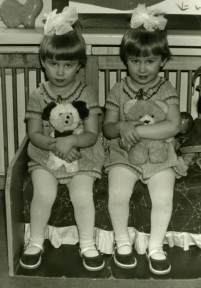 Olga Poliektova and Tatiana Poliektova, twin sisters were born in St-Petersburg, Russia. After graduating Art school and University of Cinema and Television in animation and computer graphic, they started to work together as film director duo and animators. During these years they made several short animation films (“Tomato story”, “Noise”, “Quagga”, “Warm Liguria”, "Cinema Dehors", “Chiripajas”​, "Crab story"), which took part over then in 150 worldwide festivals and earned over 50 awards. Their animation film “Noise” was first screened at Cannes Film Festival (Short Corner) in May 2012 and also at Moscow International Film Festival in June 2012. In 2013 they made animation film “Quagga” in production with Tve (television for the environmental) and Bloomberg, London. It was awarded as the Best Environmental film in Kuala Lumpur Eco Film Festival (Malaysia), Ecotopfilm 2013 (Slovak Republic) and got in the list of top 50 best shorts of Russia (Global Russian shorts). In October 2013 they were invited to join the amazing project “Cantforget.it” Digital Diary Liguria (Italy), where together with other eight talented film directors they made film about Liguria region. They were invited as a jury in Lucania International Film Festival (Pisticci, Italy), Kinolikbez film festival (Russia) and in Ale Kino International young audience film festival (Poland). ​They made several workshops about animation in Russia, Germany, Italy, China and UAE. They also work at Peterburg animation studio as directors for kid's series “Babiriki”, which have over billion of views in internet. In 2015 their new film “My Grandfather was a cherry tree”, made with the support of Ministry of Culture of Russian Federation, won the prize on the biggest children film festival in Italy – Giffoni Film Festival, New York Int'l Children's Film Festival​ together with 40 more awards and 170 more festivals. ​It was Oscar nominated and was selected to Long list as best short animation film. Nowadays they have finished making new film "The swimmer" with co-production with France and Germany.